Father Paul Keller is assistant professor of sacramental theology at Mt St Mary’s of the West Seminary, Cincinnati, and is also the author of 101 Questions & Answers on the Sacraments of Healing: Penance and Anointing. His new book, A Lenten Journey with Jesus Christ and Saint Thomas Aquinas, is forthcoming. In this short but thought-provoking article he meditates on the dialogue at the beginning of the Preface to the Eucharistic prayer. The question about the translation of sursum corda draws our attention to the real meaning of that phrase: literally sursum corda would be translated “hearts upward” or “up hearts.” Such phrases sound awkward in English, and thus the decision to keep the present translation. Yet perhaps a meditation on the literal meaning of that Latin phrase may help us to enter more deeply into the great prayer of the Church as the priest begins the Eucharistic Prayer. The dialogue between the priest and respondents at the beginning of the Preface dates to the first Christian community, Father Josef Jungmann SJ tells us in his book The Mass (p 201). 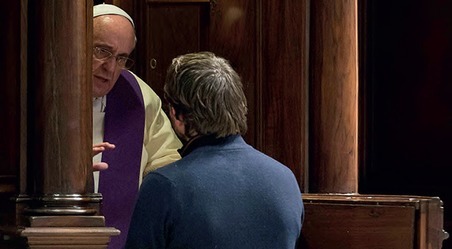 The Preface, he says, is to be understood as a “speaking before” or praedicatio (preaching) in two senses: “as praise of God and as proclamation before the community of the faithful” (p 202). The multiple options for Prefaces in the new Missale Romanum are meant to show the rich variety of the Church’s meditation on the multiform aspects of the mystery of our redemption. We prepare for this prayer when the priest greets us with the ancient and biblical words: “The Lord be with you.” We respond: “And with your spirit.” “Sursum corda,” he says, and we answer: “We lift them up to the Lord.” In ancient times, the priest lifted his hands upwards while saying “sursum corda” and the people responded likewise, also raising their hands aloft with their “We have lifted them up to the Lord.” The gestures gave added emphasis to the event, but more so, the physical raising of the hands was meant to be the exterior sign of the interior intention to focus on God alone. The priest continues: “Let us give thanks to the Lord our God,” and we pray: “It is right and just.” In this wonderful exchange in preparation for the Preface and Eucharistic prayer, we are reminded at every Mass about the great act which will take place in our midst. It is no time for anything other than serious contemplation of God, for He Himself will become present on the altar. Thus, at the end of the Preface, we always respond with the three-fold Sanctus, entering, as we do, into the Holy of Holies with all of heaven, as Isaiah saw. The injunction to “lift up your hearts” means, then, that we should place all our attention on God, on heaven where He dwells, that we should realise that we are entering into the eternal liturgy where Christ is seated at the right hand of the Fathermaking intercession for us, even as He gives eternal glory and worship to His Father (cf Constitution on the Sacred Liturgy, Sacrosanctum Concilium, 7). “Up hearts,” or “Lift up your hearts,” is the moment when we put away every other thought so as to focus all our energy on the one and most important act of any given day: the worship of God through our participation in the one sacrifice of Jesus Christ renewed on our altars. The sursum corda helps us to remember how it is that we participate with the priest in this sacrifice. 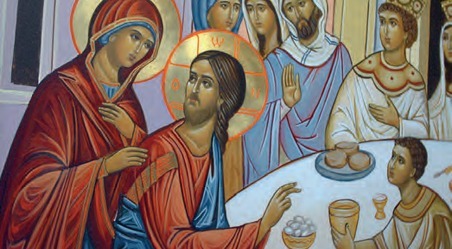 As Sacrosanctum Concilium teaches: “By offering the Immaculate Victim, not only through the hands of the priest, but also with him, they [the faithful] should learn also to offer themselves; through Christ the Mediator, they should be drawn day by day into ever more perfect union with God and with each other, so that finally God may be all in all” (SC 48). This little phrase is, in a certain sense, the summation of the purpose of our lives: to be always in God through Christ, as the Scriptures themselves attest. “Let us lift up our hearts and hands to heaven,” we read in Lamentations 3:41. Similarly, Saint Paul urges us to “seek the things that are above, where Christ is, seated at the right hand of God.” “Set your minds on things that are above, not on things that are on earth,” he says (Col 3:1-2). “Hearts upward!” we might remind ourselves at Mass, and by doing so we could truly begin to live our heaven on earth!